***VW CC DSG Sport Sedan*** Auto, Navigation, Heated Seats, Camera, Extra CLEAN, LOW Miles!! 1-OWNER... NAV... LOW Miles!! 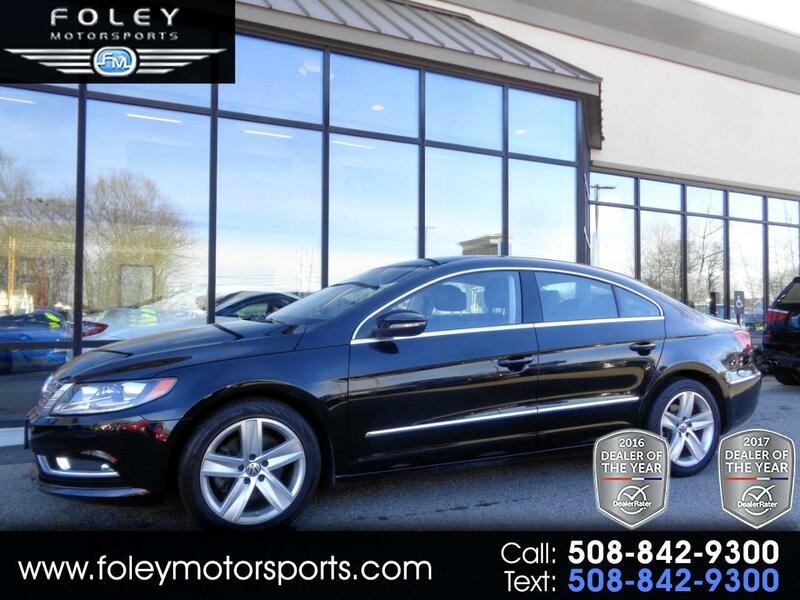 2015 VW CC Sport Sedan... Black on Black Interior... 200hp 2.0L I4 DOHC 24V Turbocharged Engine... DSG Automatic Transmission... ONLY 29,094 Miles!! Excellent Condition!! Well Equipped with 17-inch alloy wheels, foglights, automatic wipers, automatic adaptive bi-xenon headlights, LED taillights, a rearview camera, dual-zone automatic climate control, cruise control, heated eight-way power front seats (with four-way lumbar), leatherette premium vinyl upholstery, leather-wrapped tilt-and-telescoping steering wheel, auto-dimming rearview mirror, 60/40-split-folding rear seatbacks, Bluetooth phone and audio connectivity, navigation system and an eight-speaker sound system with a 5-inch touchscreen interface, CD player, satellite radio, auxiliary audio jack, iPod adapter cable and more!! CAR FAX Certified 1-OWNER Vehicle with Complete Bumper to Bumper Warranty Coverage and VW factory Powertrain Warranty Coverage Included!! Please feel free to contact our experienced sales team with ANY questions or to schedule a test drive. Buy with confidence from the area LEADER in Pre-Owned LUXURY. Additional 5 Year/100K Extended Warranty Coverage Available. ALL of our vehicles are meticulously detailed and serviced by our factory trained certified technicians. Call or email us at sales@rjfoley.com **$0 Down** 100% financing available with great rates! Trades are always welcome. National and International shipping quotes are available.